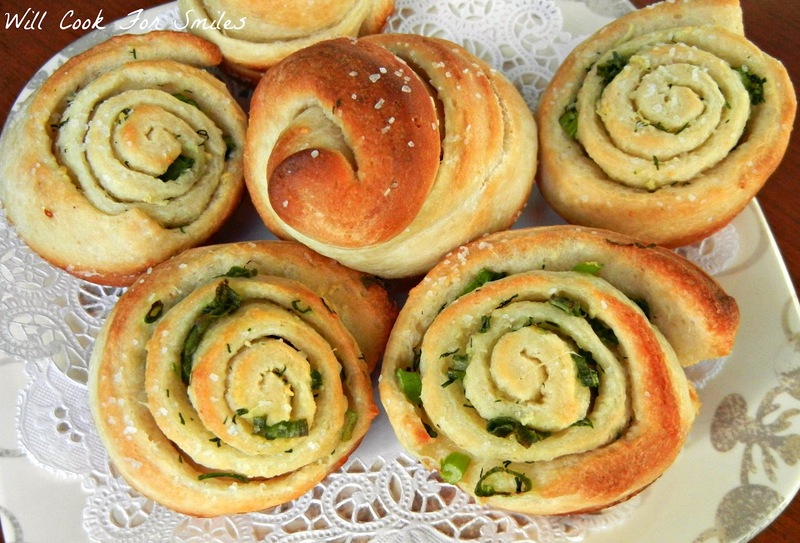 Easy but amazing dinner rolls that will go perfectly with any dinner. 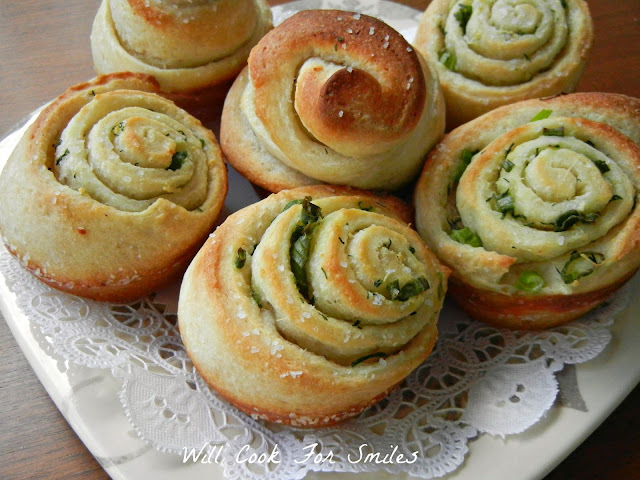 These dinner rolls are made with fresh chives, fresh garlic and fresh herbs. I don’t make dinner rolls or biscuits with dinner very often. A couple of months ago, I saw these great rolls in a magazine and I just had to tab it for later. I made these rolls about a month ago for the first time. 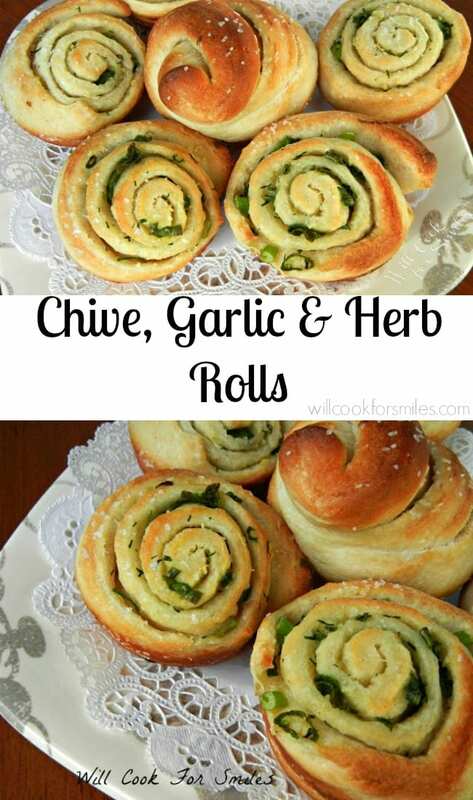 These were so popular with my boys that I’ve made the rolls a few more times since then! 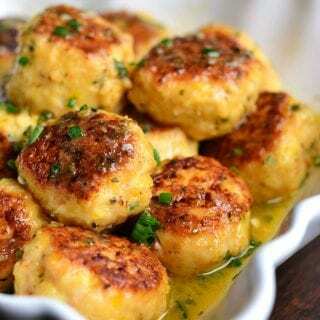 These are quick, easy and wonderful with any meal! Make sure to try them! Preheat the oven to 400 and grease the 6-cup muffin pan. Combine the butter, garlic and herbs in a small bowl and mix very well. Unroll the pizza dough and spread the butter/herb mixture evenly over the dough. Roll the dough and cut into 6 equal parts. Place the dough rolls into a muffin pan, cut side up. Sprinkle with salt. Bake for 18-20 minutes, until golden brown. 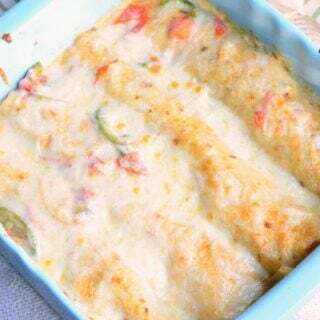 Serve with dinner or as an appetizer! 1. Preheat the oven to 400 and grease the 6-cup muffin pan. 2. 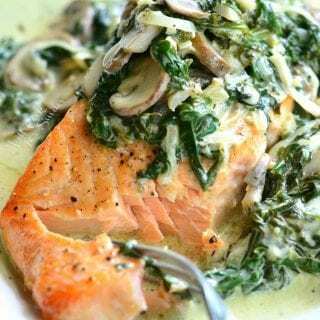 Combine the butter, garlic and herbs in a small bowl and mix very well. 3. Unroll the pizza dough and spread the butter/herb mixture evenly over the dough. 4. Roll the dough and cut into 6 equal parts. Place the dough rolls into a muffin pan, cut side up. Sprinkle with salt. 5. Bake for 18-20 minutes, until golden brown. 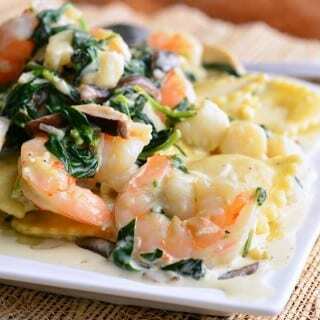 Serve with dinner or as an appetizer! Wow – they look great! Love that they’re made with pizza dough, too. i don’t have ready made dough available but the our next pizza night will have these on the side. YUm! My mouth watered from the first moment I saw the first photo. oh uh ah… they look soooooo good!!! Oooh, I need to go Pin these,,,and try them. 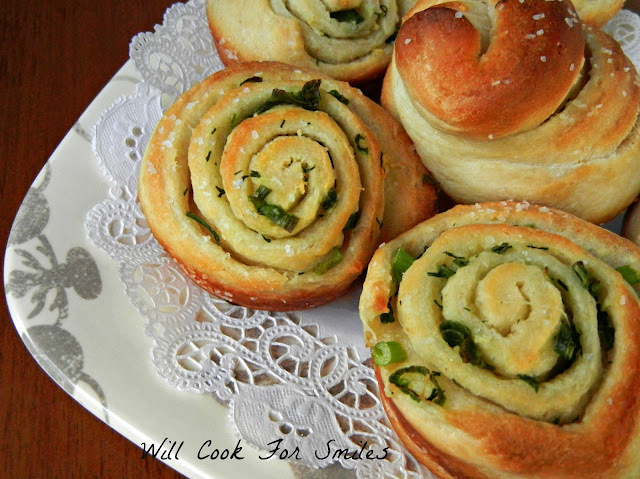 They remind me of my Feta and Kalamoata Olive Pinwheels. I love garlic and chives…so can’t wait. These look delicious! I cannot wait to try–thanks for posting!! I pinned these as well! Yum-o! We have to try these! I have to try these…. they look super yummy. Another great recipe, Lyuba! I saw this via Bacon Time and couldn’t stop from clicking on it! Looks easy-peasy! Those look soooooo yummy! I’m going to have to use this recipe sooner than later! Hope you do! Thank you! 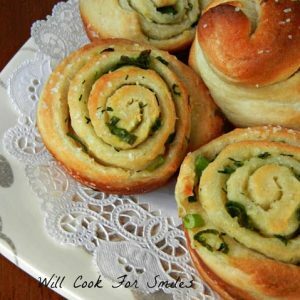 This looks like the perfect dinner roll, I’m definitely making these soon!! These look delicious! So much better than cinnamon rolls! I maker side breads a lot. I wonder if these could be made with crescent rolls? Thanks for linking to Must Try Monday. I’m sure you can make it with crescent rolls, it will taste a little different. Although I get the refrigerated pizza dough dame by Pillsbury, that’s right by the crescent rolls. Hope you like it! My kids will love these. Yeah I’ll love them too. I LOVE any type of bread. :) Thanks for sharing with us at Link It UP Thursday. Hey lady! I just wanted to let you know I featured you on Blissful and Domestic today. Stop by and snag a button! Those look amazing. Can’t wait to try them. I am featuring them this week at Create and Share! 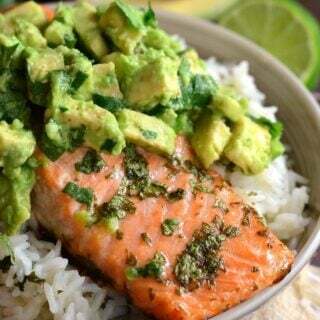 This recipe sounds luscious and your photos are making me hungry! I think I can adapt this to a low salt recipe if I make my own dough and cut back on the salt. Such a great alternative to old, boring garlic bread! Thank you so much. You can sure make your own dough, would taste delicious! Warm and fuzzy now 🙂 Thanks! These look so delicious, I love the flavor combinations! Thanks for showing off, your blog was selected to be my blog of the week this week! I have your button in my sidebar, and I would love for you to come guest post next week, or when it is convenient for you! Email me for more details. I am showing this off tonight at the party, hope to see you there! So Awesome!!! Thank you so much! Thanks for sharing. I’ll be trying these out soon! Yum. I would love for you to share it on my Monday linky party! What a great idea! And very adaptable, too! Can’t wait to try it. Wow, I just love this. What a great idea! 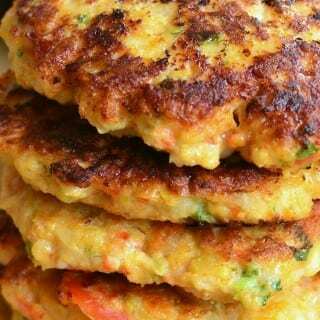 These look so delicious and flavorful….perfect with so many meals! These look amazing!!! I want one right now! !